The advanced reporting module in GoAnywhere MFT allows you to gain access to important system information as PDF documents. 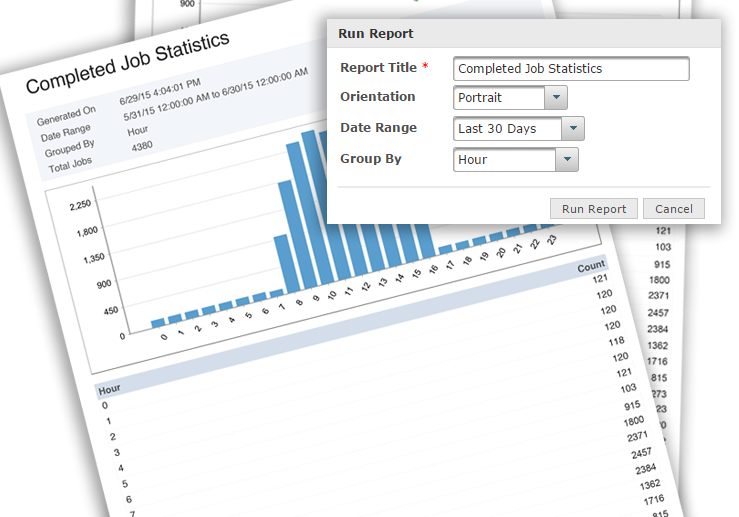 You can easily generate reports of file transfer activity, user statistics and completed jobs from within the console. 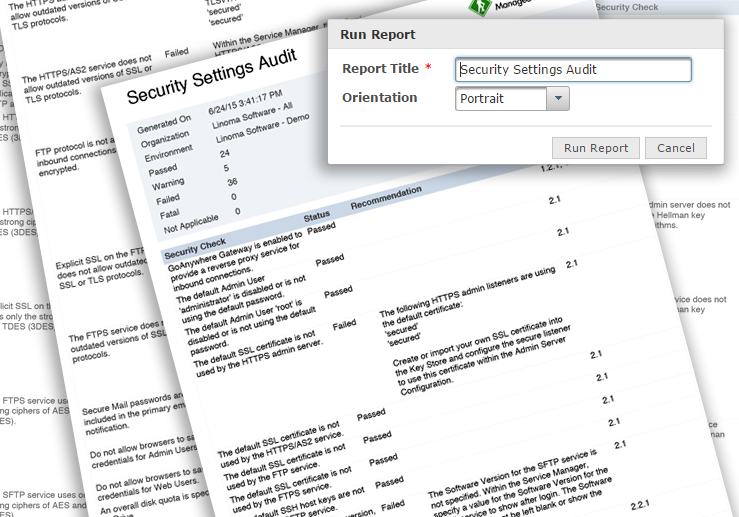 Reports can be filtered by date, user id and other criteria to select only the information that you are interested in. Both detailed and summary reports are available with informative charts and graphs. Custom Reports can be created using data provided from a database, CSV, Excel, fixed-width, XML, or JSON file. These reports can be run immediately through the browser-based console or can be scheduled and distributed to the network or sent via email. Watch our on-demand webinar, PCI DSS Security Settings Audit Report. Product Usage Report - Displays product usage information related to service and workflow statistics. GoAnywhere MFT can analyze more than 60 different security settings to determine compliance with applicable sections of the Payment Card Industry Data Security Standards (PCI DSS). If a security setting does not meet the standard, the report will indicate the corresponding PCI DSS section and the recommendation on how to correct the security setting. Request a quote for advanced reporting features in GoAnywhere MFT.